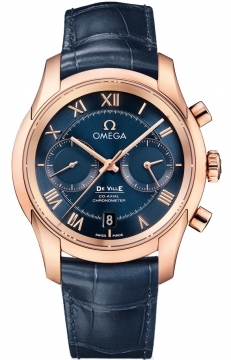 Buy this new Omega De Ville Co-Axial Chronograph 431.53.42.51.03.001 mens watch for the discount price of £17,424.00. UK Retailer. 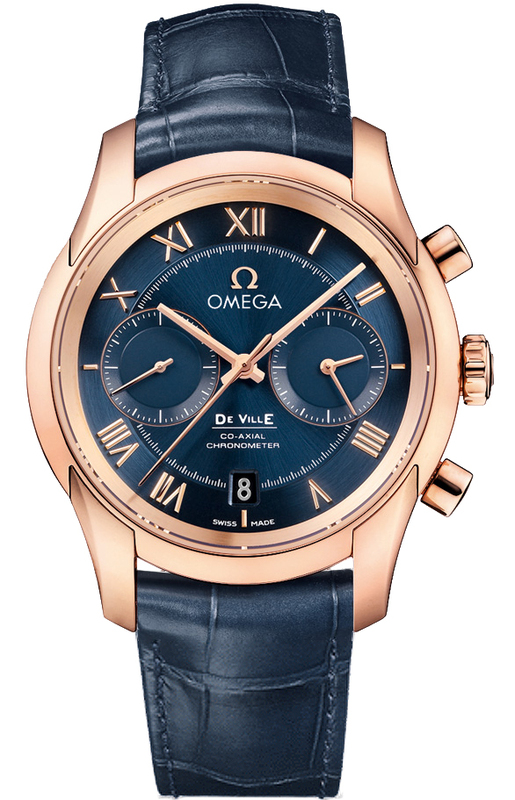 Brushed-finishe blue sunray dial with applied rose gold Roman numerals and recessed subdials.